Create Beautiful Forms In Seconds. With The Most Powerful WordPress Form Builder Plugin. Create Unlimited Contact Forms, Online Surveys, Booking Forms Or Event Registrations In WordPress. Get More Contacts And More Leads With Forms Matching Your WordPress Theme Instantly. Work Less With No Coding And Zero Programming Involved, It’s Super Fast And Easy To Use. Have Complete Control On Your Forms Design Without Coding Any HTML Or CSS. Know Exactly Who Is Contacting You With Our Social Networks Integration. 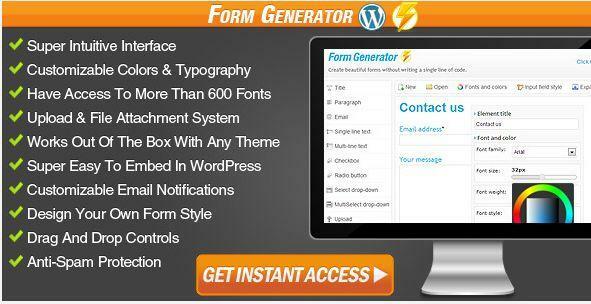 Share the post "Form Generator"